Pinjore Garden is located in Pinjore in the state of Haryana. It is also known as Yadavindra Garden. 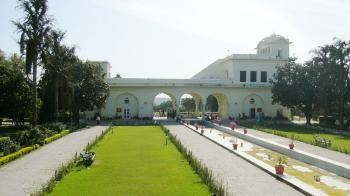 Pinjore Garden is built in typically Mughal style by Patiala Dynasty Rulers. The garden is adorned with the fountains and grand pvallion and has sloping ground. The garden is full of varied species of beautiful, aromatic flowering plants, big trees, mango orchards, litchi orchards and several shrubs. Spread over an area of 100 acres, Pinjore Garden serve as the venue of the annual Mango Festival. Mansa Devi temple is a very famous shrine located at Panchkula, which is about 8 kms away from the city near to IT Park and Manimajra. Symbol of Himalayan culture and faith, the temple is dedicated to goddess Mansa Devi, a form of Shakti. Each and every person who visits Panchkula firstly comes here to take the blessings of Goddess. There are other temples in the complex like Shiv Temple and Hanuman Temple. Also you can see small temples of Naina Devi, Vaishno Devi and Kali Devi. This is a religious place, not a tourist spot. 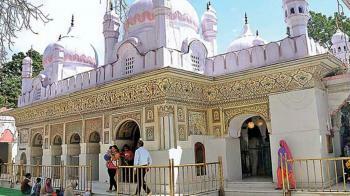 But you can visit this temple if you love to visit temples and religious places. Lush green carpet and dark green trees with fresh aroma of divine air add to this magnetic place of the Almighty. There is a whole market at the foot of the hill where you can find several shops. Here you can purchase the prasad & offering etc. You can also purchare pictures, books and other religious materials here. In the temple, Navratri festival is celebrated for all the nine days. During Chaitra and Ashvin months, Shardiya Navratra Mela is organised at the shrine complex.